Rebuild your body. Renew your mind. Restore your soul. Refine31 is a one-stop shop fitness studio that offers both cycle and barre classes. We believe that exercise should be something you enjoy and crave! We also understand the hectic nature of our clients’ daily schedules, so we offer them an hour to escape from their busy lives by energizing their minds and bodies with both cardiovascular and resistance training. Refine31 Barre and Cycle classes give you a way to strengthen your mind, body and spirit so you can give your very best to your most precious priorities in your life. 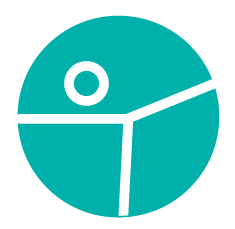 Refine31 Cycle enhances what we do in barre by adding a little “spin” on the bike. With heart-pounding, foot-tapping music, classes transform into a journey of riding to the beat. Through movements like rhythm presses, tap backs and light weightlifts on the bike, clients shape every muscle from head to toe in an atmosphere of a dance party. Refine31 Barre and Cycle classes are the perfect combination of resistance and cardio training to enhance your everyday life. More than anything else, Refine31 supports our clients in creating a well-balanced, healthful lifestyle both inside and out. Refine31 Barre utilizes upbeat music and inspiring instruction that encourage you to block out the distractions of life. We provide an environment that refreshes the mind and spirit while you strengthen muscle tone. Our program is a total body workout experience that triggers every major muscle. A unique program, Refine31 Barre is all low-impact, protecting the joints by avoiding any jumping. By using mostly your own body weight and very light weights, our barre workout lengthens and sculpts each muscle. Clients leave with a new wave of energy that motivates and empowers. At Refine31, we believe that healthy living consists of three parts: physical, mental, and spiritual. Through exercise and proper nutrition, we are able to care well for the body we were entrusted to protect. We truly believe that we can receive just as much mentally and spiritually from exercise as we can physically. So we strive to encourage a healthy outlook on life and to inspire habits that enable us to become our best selves. The Refine31 spin and cycle classes offer both a place where you can exercise your body and a setting where you can escape life's stresses and distractions.